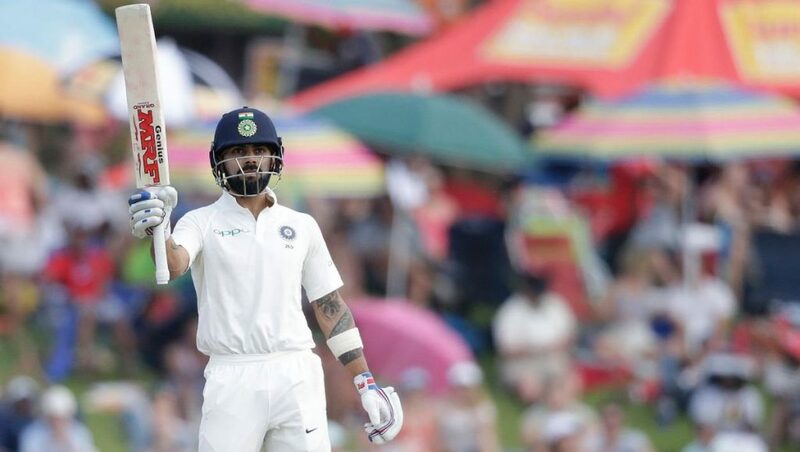 Indian skipper Virat Kohli’s remarkable single-handed knock of 149 runs helped the Indian team to recover from the batting disaster as India is now fighting equally against the hosts England at the end of the day two of the first Test of five-match Test series at Edgbaston (Birmingham). England began the day on their overnight score 285/9 and added only two more runs before losing the last wicket in the second over of the day as they were bowled out for 287 runs. Indian pacer Mohammed Shami picked up the last wicket as he had a bowling figure of 19.4-2-64-3. Meanwhile, off-spinner Ravichandran Ashwin (4/62) remained with the four wickets. India had a good start as their openers Murali Vijay and Shikhar Dhawan successfully post a 50-run partnership. But then, English young pacer Sam Curran began to destroy the Indian batting line-up which was followed by the other English bowlers. Only the Indian skipper Virat Kohli provided the proper reply with the bat against the English bowlers. While the wickets were falling from the one side, Kohli held that from the other side. With the important help from the lower-order batsmen, Kohli mastered in that innings. 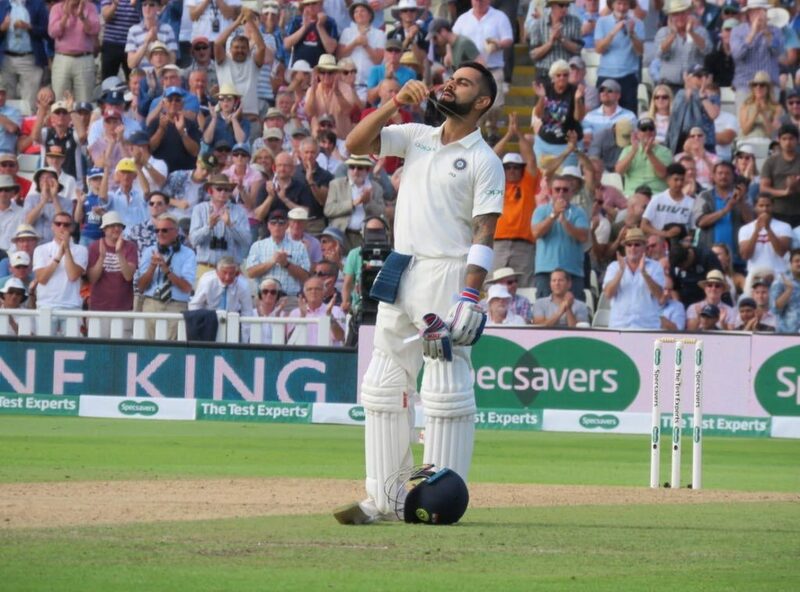 While none of the other batsmen reached the 30-run mark in that innings, Kohli scored a brilliant century and extended that to 149 runs before losing his wicket at the end to the English leg-spinner Adil Rashid. Kohli had an important 57-run partnership for the last wicket with Umesh Yadav (1*), which was also the highest run partnership for any wicket in that innings, and that also helped India to score a good total at the end of the innings. India was finally bundled out for 274 runs as England got only 13 runs lead at the end of the innings. The second highest knock in that innings was just 26 by the opener Dhawan. Only two more batsmen reached the 20-run marks – Murali Vijay (20) and Hardik Pandya (22). The 20-year-old English pacer Sam Curran earned the limelight on the day with the bowling figure of 17-1-74-4. Also, pacer James Anderson (2/41), Ben Stokes (2/73) and the leg-spinner Adil Rashid (2/31) got two wickets each. Coming to bat in the second innings, England lost their opener Alastair Cook for a duck before the day was called off. At the end of the day, England was on 9/1 (Keaton Jennings 5*) with the 22 runs lead while Indian off-spinner Ravichandran Ashwin (1/5) once again bowled Cook. Indian skipper Virat Kohli completed his 7,000 runs as an international captain as he has scored 7,109 runs till the day 2. While it was his 124th international innings as a captain, Kohli becomes the fastest to reach this feat. The previous record holder was Brian Lara who had achieved this feat in 164 international cricket innings. Indian skipper Virat Kohli scored 149 runs. i) Highest score by an Indian batsman in a Test innings at Edgbaston (Birmingham). The previous record holder was Sachin Tendulkar with the 122-run knock in 1996.
ii) The second highest knock by an Indian captain in a Test innings on the England soil. The record is 179 by Mohammad Azharuddin at Manchester in 1990. English all-rounder Ben Stokes completed his 100 Test wickets. Fifth English Test cricketer to score 2,500 or more runs and also to take 100 or more wickets. 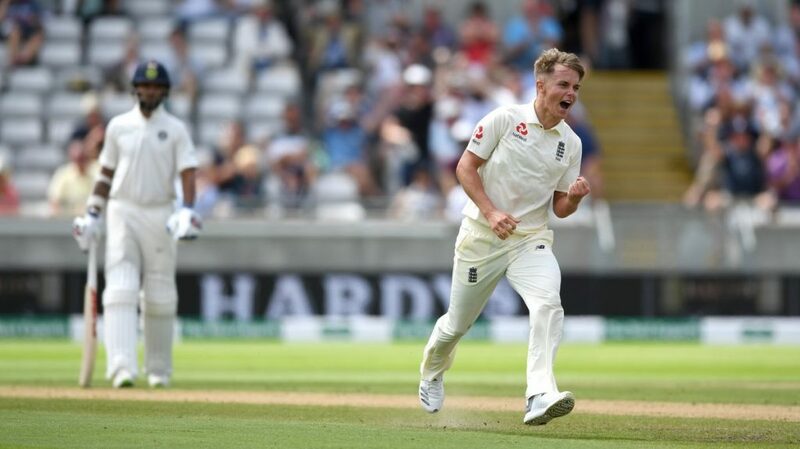 Starting the Test match at the age of just 20 years and 59 days, English pacer Sam Curran (4/74) becomes the youngest English bowler to take four or more wickets in a Test innings. The previous record holder was Bill Voce (4/79) who had achieved that feat at the age of just 20 years and 177 days (age at the start of the match) against West Indies at Port of Spain in 1930. 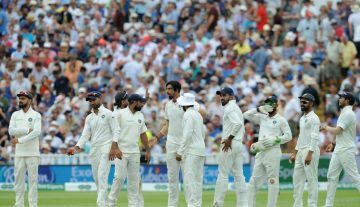 Like the first innings of this match, English opener Alastair Cook was bowled again in the second innings of the game and that too against the Indian off-spinner Ravichandran Ashwin. It was the first time when Cook has been bowled in both innings of a Test match.